While the New York Amsterdam News calls for more diversity in the teaching workforce, the debate about Black Lives Matter within the UFT spilled out into the mainstream media this week: Hear MORE members Jia Lee and Norm Scott explain why the UFT leadership refused to support the National Educators Week of Action from February 5th to 11th. However, our union leaders’ silence won’t stop us standing from standing up for justice! Scores of teachers attended the curriculum share today at the Museum of the City of New York and dozens of schools and organizations have signed up as sponsors of the week of action. Please check out the BLM Week Starter Pack to get curriculum downloads, lesson plans, visuals, tshirts, and more. The full calendar of events for the week is here. Don’t miss the new BLM Week of Action Blog featuring MORE member and UFT HS Executive Board representative Marcus McArthur with his “Message to the Movement”. And of course, please check out FB.com/BLMEdu for continuing updates and resources. 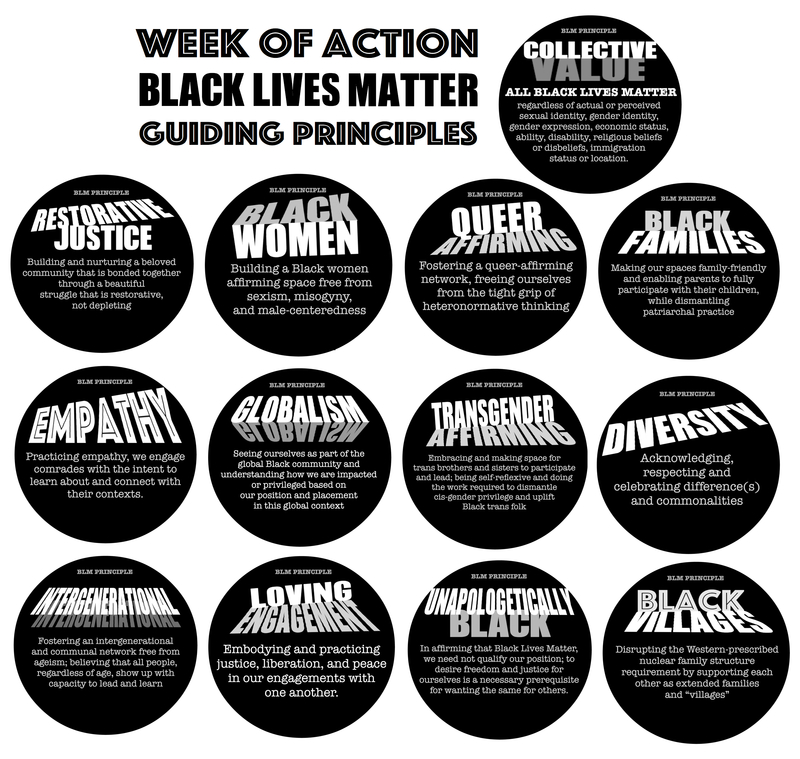 You can check out graphics of the 13 Guiding Principles of Black Lives Matter to share with students and on social media here.